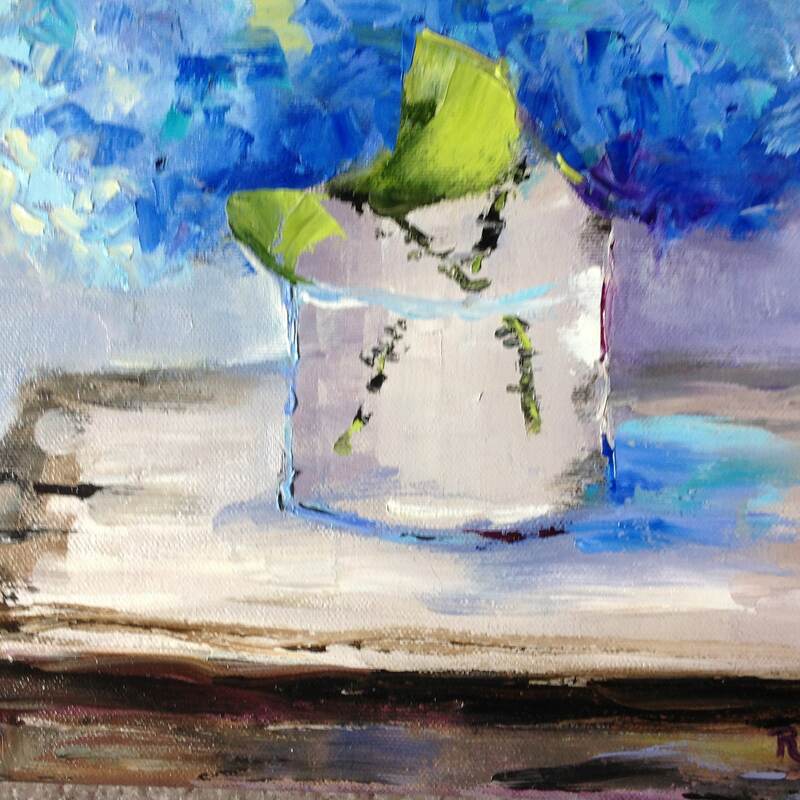 BABY BLUES is an original 12" x 12" oil painting on a gallery wrap canvas. 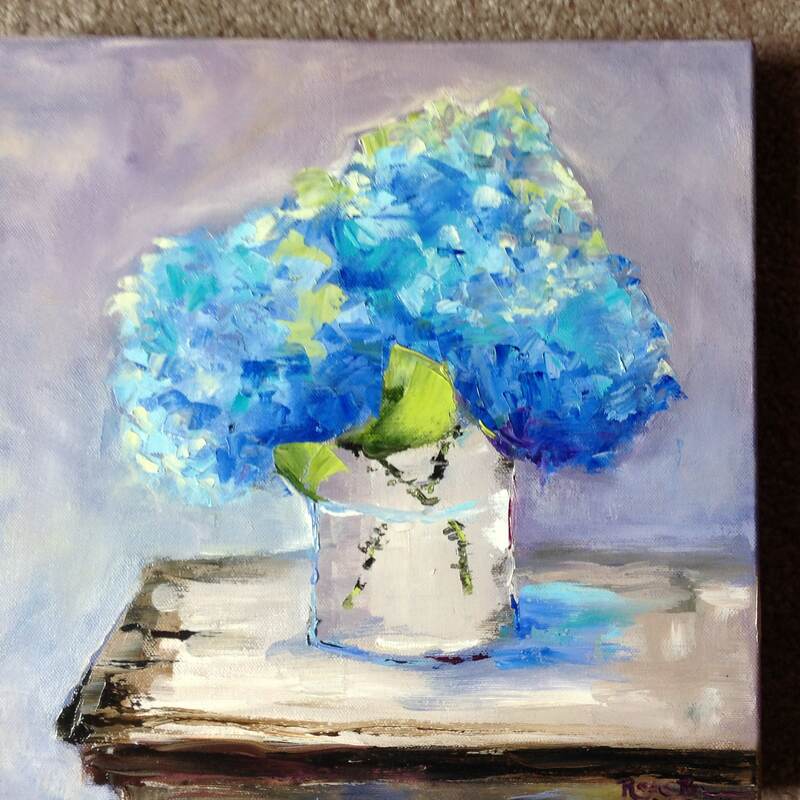 The painting is of a Bouquet of blue hydrangeas. 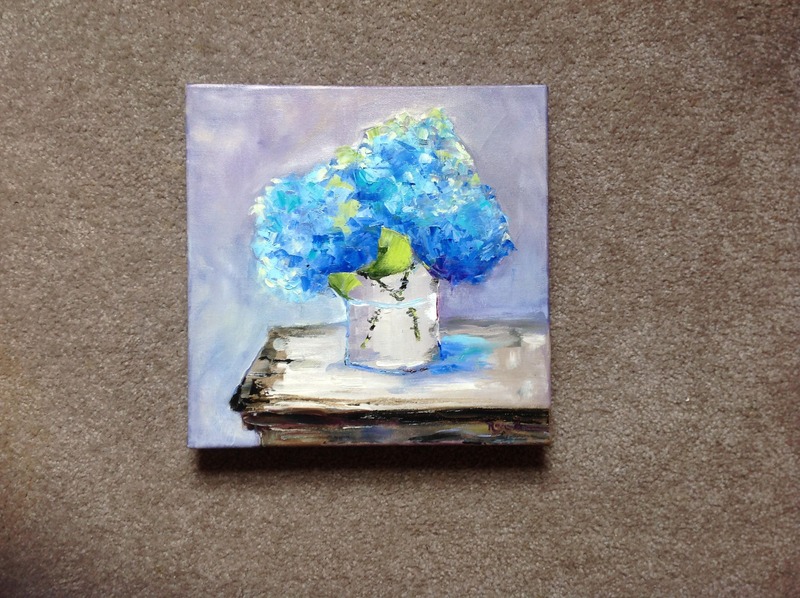 Hydrangeas are a spring flower. I have a bush in the front yard. The blooms on it range from pinks, to purples, to blues, depending on how acidic the soil is. 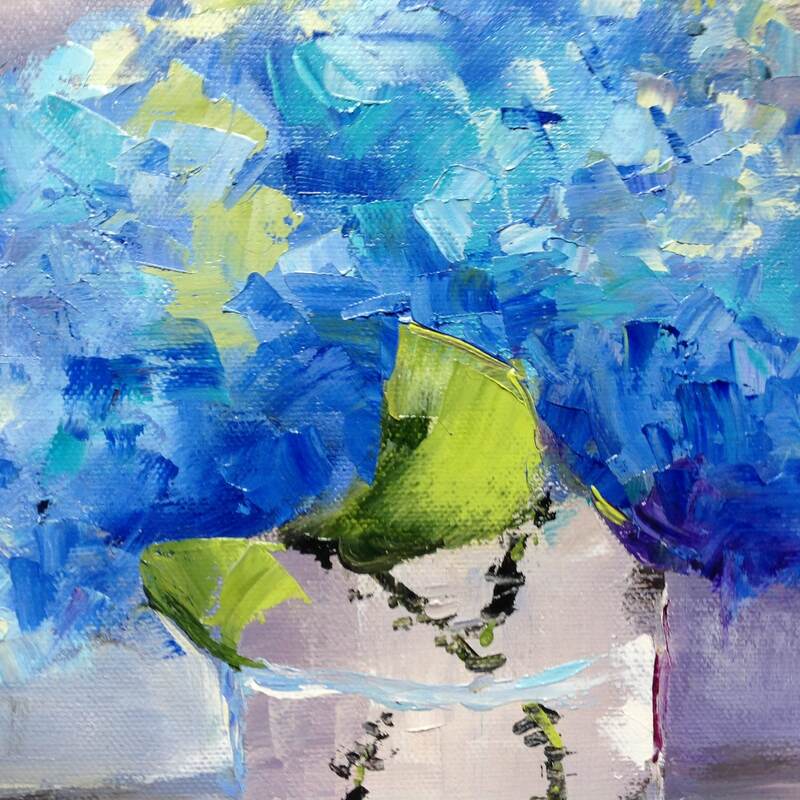 These flowers are the brilliant blue ones, ranging in shades of teal, cobalt, to deep amazing ultramarine blue. The flowers are in a clear vase, with some of the leaves and stems peaking through. 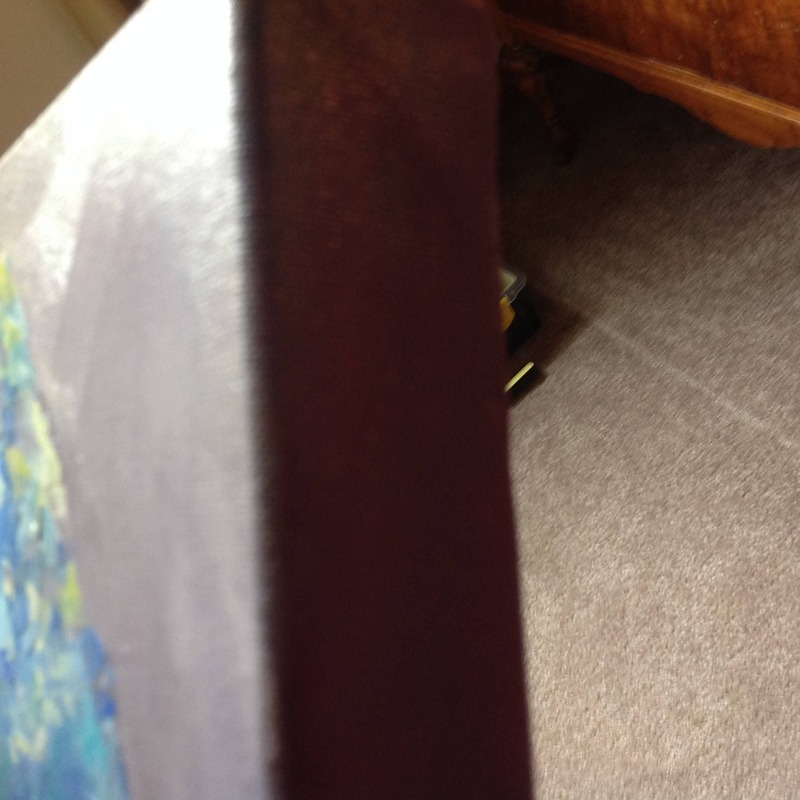 The vase sits on an old table, with some white paint on it, along with the brown of the last paint job. This is an impressionist painting with strong contrasts. It will enhance many color schemes. 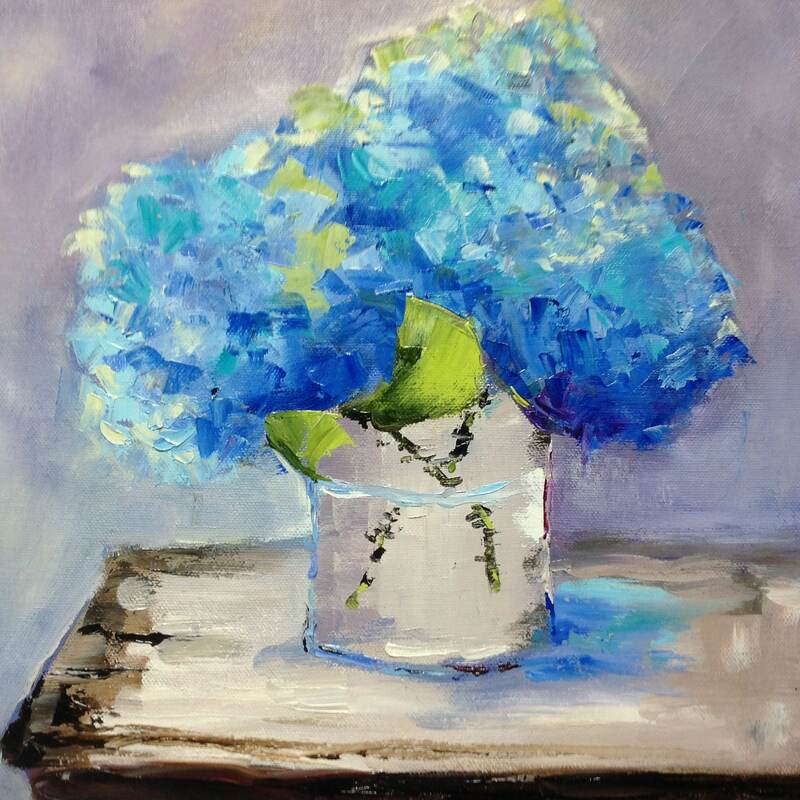 It will light up a room, especially if other objects pick up the vivid blue and cobalt colors, such as a pillow or a vase.